Marigold are excited about the return of the annual Great Knaresborough Bed Race, one of the most spectacular community events held in the UK. It was first staged in 1966 and have been never cancelled. 90 teams of six runners and a passenger take part in the glorious fancy dress pageant that comprises the first half of the event, before the race itself which is run as time trails with team leaving at 10-second intervals. The 2.4 mile course takes them through parkland at Conyngham Hall, along Waterside and through the Nidd Gorge, before the steep climb to the Castle and Market Place. 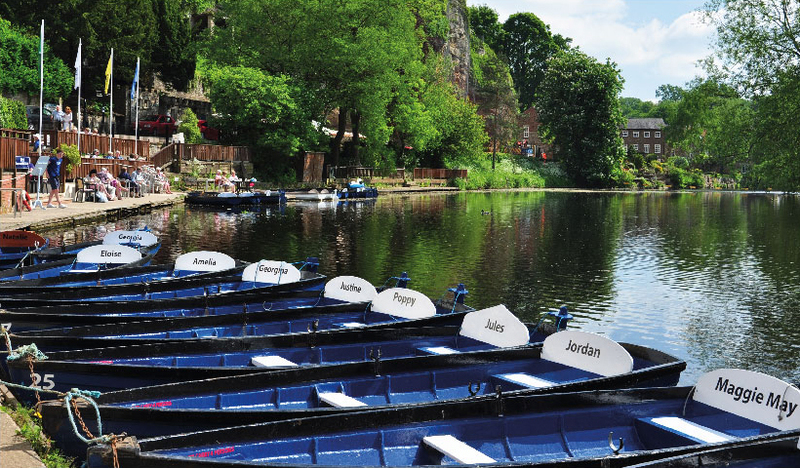 Teams then hurtle down High Street, Bond End and across High Bridge, before passing through the wooded McIntosh Park and the final 30-yard swim through the ever-icy waters of the River Nidd. It is an all-day event and is staged by the volunteer Knaresborough Lions organisation to raise funds for worthy causes. There are park and ride facilities and extra public transport services. It is tremendous fun and attracts thousands of spectators. Why not come down to Marigold’s and see them running at full tilt and enjoy a drink while they go past?! !